The history of wine in Texas starts much the same as everywhere else in the Americas. It began in the 1600’s when Spanish missionaries started cultivating grapes at the Ysleta Mission which was located in the present day El Paso area. Out of these humble beginnings grew an industry that today produces 2.4 million gallons of wine and over $1 billion dollars in revenue annually from its more than 160 wineries. This industry has also increased tourism with nearly a million visitors each year taking the opportunity to visit Texas Wine Country. "Texas is one of the fastest-growing wine destinations in the country," says Agriculture Commissioner Todd Staples. Charming winery bed and breakfasts, boutique cellars and large wineries on huge vineyards provide a diverse experience. The Texas Department of Agriculture has created a “Texas Winery Passport” to help you get started on your wine country adventure. This can be picked up at any Texas winery or tasting room. Track your visits by entering each one’s code on the passport and start redeeming for wine traveler’s rewards after just four stops. More information on this can be found at http://www.gotexanwine.org/. They also have suggestions on how to plan your trip starting with selecting one of the four regions. There are many miles involved in a complete tour of Texas’ wine country so they have broken it down into eight Texas Wine Trails. Each trail offers a unique taste of each of the different regions. Texas Wine Month is a great time to start as it has developed into a state-wide wine promotion. Sales incentives, winery tours, wine festivals, in-store tastings, restaurant pairings and many other activities will increase the fun. Be sure to consult the calendar of events to get the most from your trip. 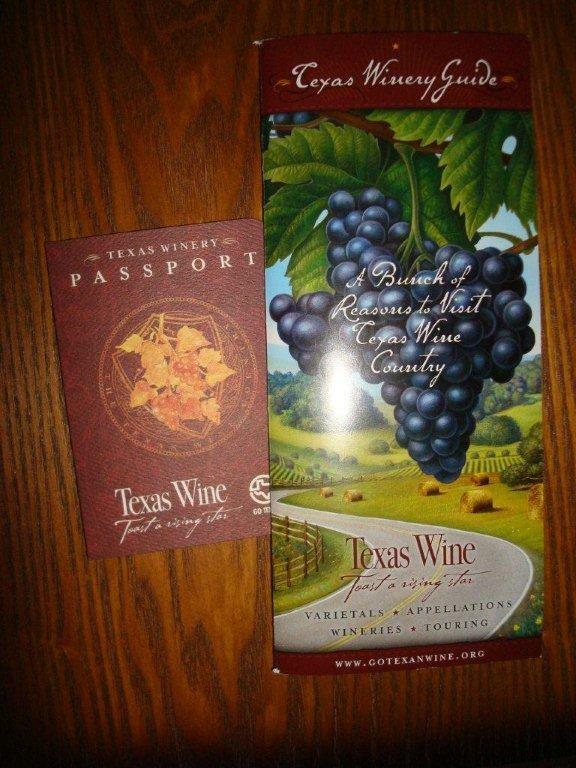 Texas Wine Month is celebrated each October as the harvest winds down at most Texas vineyards. Come now and see why Texas is the 5th largest producer of wine in the U.S.
No matter where you are this month, be sure to pick up a bottle of Texas’ finest and give a toast to the Lone Star State. As Agriculture Commissioner Todd Staples said, “The Texas Wine industry has come of age” and that is a very good reason to share a bottle of Texas wine.